A charming oil painting on canvas by Louis Vivin (1861-1936). 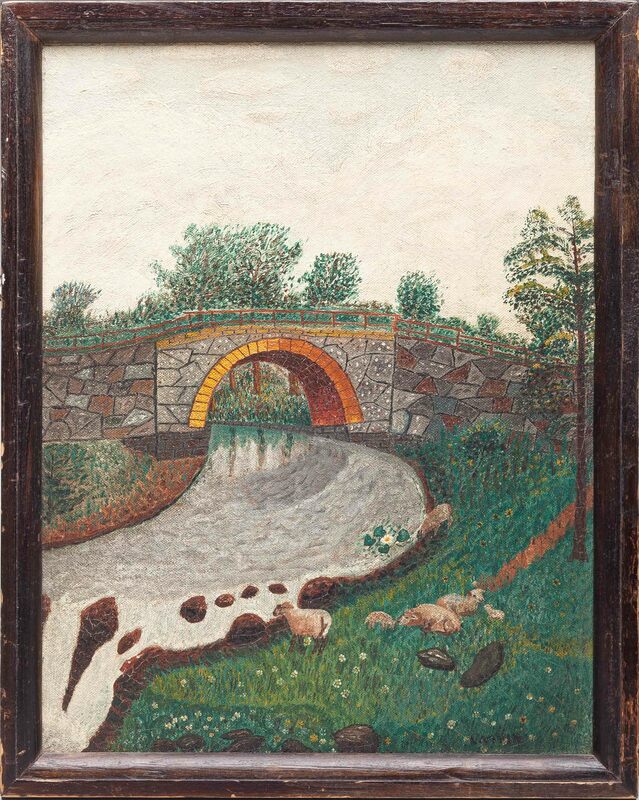 The painting shows a French landscape with sheep grazing by the side of a stream under a bridge. Vivin was part of the French Primitive school of the late 19th century that included artists like Camille Bombois, who were influenced and painted in the style of Henri Rousseau. Signed lower right corner.